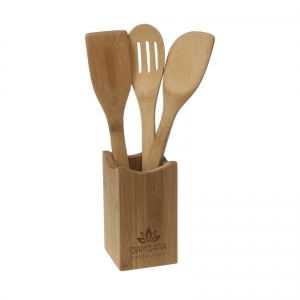 4-piece bamboo kitchen set: 3 different kitchen tools (30 cm) in a solid container. Each set in a box. 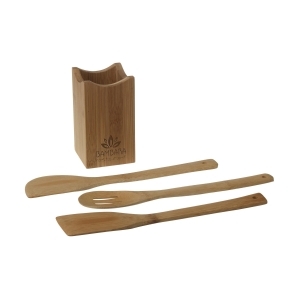 To order an unprinted KitchenCube Kitchen Set, please complete the details below.